As discussed a couple of weeks ago, Mount Comfort RV has made a trip up to northern Indiana to get a first hand look at the new 2015 Shasta Airflyte. Shasta president Mark Lucas gave Mount Comfort RV an exclusive walk through video tour to go over the ins and outs of the Airflyte. Instead of me rehashing in a post what he talks about, I’ll just leave all the talking to Mark. 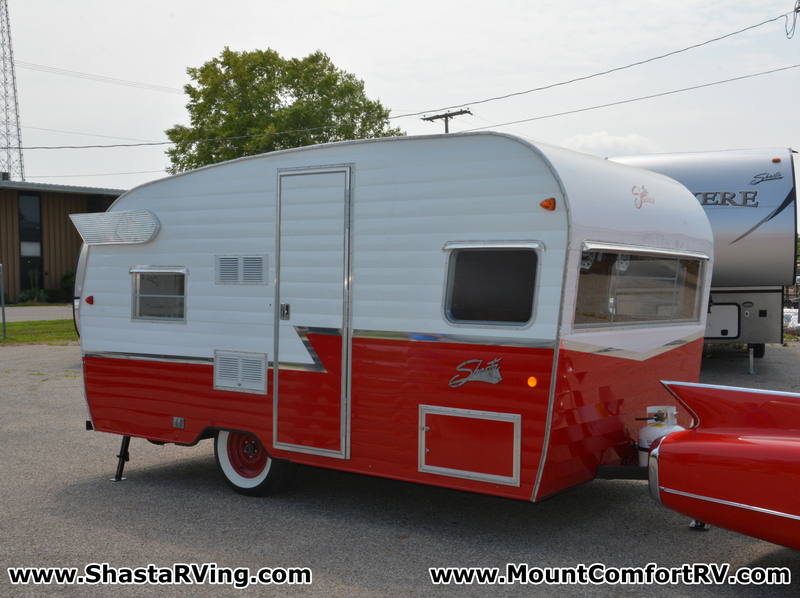 More detailed photos are up on the Mount Comfort RV website and can be seen by clicking here. Mount Comfort RV vice president Rusty Eckstein tells me they’ve been taking pre-orders for the Airflyte from all over the country. And starting at $14,999, I think it’s safe to say the 1,941 that will be produced will be spoken for rather quickly. Feel free to leave comments with Mount Comfort RV on their YouTube page below the video so they can pass along your likes & dislikes to Shasta…they are listening. Wow! This is bound to be a huge hit. It’s great that they have been so dedicated to keeping this authentic. With limited production, I’m sure they will sell out fast. Now where can I get a Caddy like that? This is brilliant. Other manufacturers just don’t get the retro market. You have to do more than have a vague canned ham shape to be ‘retro’. People want the interior styling of the old era, not bland earth tone fabrics, floors and curtains. And please, can we get rid of those generic swoopy decals on the exteriors? The RV market needs a fresh kick in the rear, and this reissue is giving it. I hope the success of this trailer inspires other manufacturers to take more chances on style. Camping is about FUN. This trailer gives it in spades. Good job Shasta. You NAILED it. I love your comments, Pat! We think this new Airflyte is awesome too! Thanks Rusty. A few questions / concerns. Will the trailer have electric brakes? I know it’s light, but having brakes will make it easier to tow with small vehicles. This will make the trailer viable for more people. Don’t like the sharp metal corners throughout the interior. Looks like accidents waiting to happen. Concerned about the cover on the heater / AC. Will it restrict air flow too much? Will it create fire hazard with heater? Wonder how they run the fridge exhaust around the outdoor speakers. Hope speakers are encapsulated somehow. The ceiling in the wet bath looks like wood paneling? Will Shasta replace that with a water resistant material? I know the trailer in the video is a prototype. Maybe Shasta will address these issues as they complete the final model. Pat, Thank you for all the great questions! I had a lot of the same questions as you! There are electric brakes on the new Airflyte as well as a breakaway switch to engage the brakes in case the trailer would become disconnected from the tow vehicle. The counter tops are designed very true to the original 1961. To the best of my knowledge, they are not doing much different from the prototype on that front. The A/C cover is designed to keep the look of the original while allowing one to have the modern convenience of A/C. It should allow adequate airflow, but is easily removable if you don’t want it there. As far as the furnace, it is located underneath the microwave and is ducted to the trailer. The exhaust for the furnace goes outside the off-door side. The ceiling in the bathroom has a vinyl coating to it and is water resistant. A lot of trailer manufacturers use similar vinyl coated paneling on the walls of their showers and caulk the corners with silicone. We haven’t really had any issues with that style of shower construction. If you have any other questions, I would be happy to answer them for you, or feel free to call or email Bobby. Have a great day! Great, thanks. My seafoam green is on order. I’ll find some caps for the corners. My kids like to have rowdy pillow fights and those corners look like trip to the ER. Not everything retro is ideal, but I respect Shasta’s commitment to authenticity. Let us know if the longer trailer is still in the works. I’d like to upgrade to that if the price is right. I passed the word to Bobby as well. Bob just moved me on up to the 19 footer. We’re excited. I think Mount Comfort is the go-to dealer for this trailer, even if you’re from out of state. Love it and might consider. but it needs a queen size bed to sleep to full size adults comfortable. (or the couch needs to be longer. Maybe a 2016 version could be wider than the 7 ft to gain interior width. (or add a slide out). I would like to see a version with no couch, the kitchen moved further back and a bigger dinette/ bed (queen size).. I already have orders on our first shipment due to arrive in October. I am in Mesa Arizona, and am looking forward to carrying these, as the small “Vintage” Trailers have a huge market. The company has dug out the original plans from the 1960’s!! Trailer looks great. Couple of questions about the final product vs the prototype. Will the door frames be body color or will they remain aluminum (entry door and storage doors). Will the refrigerator grill be painted body color or left white? Will there be a canopy and canopy rail on the trailer? Tom, I have the same questions you do about the paint. In the video the fridge vent looks like bare metal, but the grill on the street side of the trailer looks white. It wouldn’t cost Shasta much to paint the grills to match, but the matching door frame paint is more labor intensive. I hope the new frames are painted though, just like the originals. I ordered a seafoam green from Mount Comfort and they report there is an awning that will be very close to the original. I just saw that Mount Comfort RV has already set their pricing for the 2015 Shasta Airflyte 19 ft http://www.mountcomfortrv.com/default.asp?page=xInventoryDetail&id=826137&p=3&s=Year&d=D&sq=19 Taking order now at $15999, that seems like a good price to me. My mistake, the Mount Comfort RV price on the 19 is actually $16499. Still good I think…I’ve been trying to find out….does anyone know if the 19 has a larger awning than the 16? Open note to anyone at Shasta who may be reading . . . The cabinets doors on the re-issue lift up, rather than slide like the originals. I hope Shasta plans to put metal door struts on those. Forest River is known to use cheap plastic struts that snap like toothpicks the first time you use them. I look forward to seeing pics from the upcoming open house, where a complete model will be on display. If you’ll be there, please take photos of every little detail and post them here. Please, Shasta, take your time building these and do them right the first time. My only concern about this product is that it’s made by Forest River. I promise not to put a 32″ flatscreen in my re-issue. In fact I won’t put a tv of any kind in it! Thanks for bringing us this trailer. Retail on the 16 ft is 17,999 but from you is 14,999. Is that out the door? Do you deliver to California? How much are the awnings? We are totally stoked about our new Airflyte! We pre-ordered our “yellow” Airflyte and then began to second guess our decision. We found the video with Mark describing the company’s commitment to detail and quality and now…..we are awaiting the call to say…Come and get it! We have spent hours researching campgrounds, looking at furnishings and dreaming of weekend trips to the lakes of Alabama and the mountains of Tennessee!! We have never own a camper and we are empty nester’s so this campers size and price seemed right for first timers. See you on the road!! Has anyone else noticed the odd location of the window in the bathroom? We ordered a 19 ft in red and are really excited. After looking at the pictures, we are beginning to have some concerns. The window in the bathroom looks so low and is not frosted, we wonder about the functionality of having it in there. The curtains appear to be some form of transparent shower curtain, we are afraid that we will be experiencing our grand kids full moons on a daily occurrence…not to mention occasionally. I hope that the manufacturers figure this out before starting production on the 19 ft. Is there a way to get word of our concerns? I just bought mine here in New Mexico! I will get it in Oct. it’s on order and is yellow and white! May I ask what dealership you used in New Mexico? From the floor plan of the 19, there will be no window in the bathroom.The window is behind the bathroom. Does anyone know if the 19′ has a generator on board?? I know the lighting is LED, but in my experience to run AC or outlets you need either a generator or an electrical connection at your campsite. I don’t see a generator listed in the specifications. Thanks! The video we watched didn’t show the sleeping arrangements. .or even mention how many it sleeps. Anyone know? I live in Alabama. What is the closest dealer that I can order from?! I live in Georgia and have located a dealer within 2.5 hour drive; however, I am concerned with warranty work. There are no Shasta dealers in Georgia. Therefore, I called Shasta and asked if other dealerships would be authorized to perform warranty work. The customer rep said this was not in her area and that I would have to talk with the warranty department. However, after two voicemails and several days no one has called me back. When I called the customer rep and asked if she could get me an answer, she said the warranty department was “across the plant” and the best she could do was to forward me to their extension. Based upon the foregoing, doesn’t look like I’ll be making a purchase. My Reissued Shasta Airflyte is on order! Join me in this facebook club if you are a Shasta owner too! 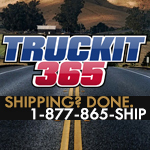 Stephen, If you are still looking for a dealership in Texas I highly recommend RV-MAX.com. There are 3 locations in the DFW area. I ordered my 19′ Butternut Airflyte from them. Their customer service is outstanding! Received my Shasta Airflyte 16 foot travel trailer on 11/13. Neither the factory nor the Dealer (Terrytown RV, Grand Rapids MI) properly prepped the trailer for delivery – the AC outlets DO NOT work. This should have been noted and repaired prior to delivery. After waiting 41 days for an appointment at my local Forest River dealer, they can not find the cause of the problem. Support from Forest River is non-existent. This issue, along with items not delivered, makes me regret the purchase of this travel trailer. I have learned in my 7 months of waiting anxiously for this Airflyte to complete production many facts. One of them being … Shasta has integrity! What an awesome vision for the old to meet the new in the 2015 Airflyte. The Airflytes quality is awesome not to mention handmade charm that makes them so endearing. Trust me I know this trailer from the inside out and if you want to be a buyer you should act quickly only 1941 will be made. (I don’t work for Shasta or a dealership) We currently own 2 original vintage campers. I’m in love with this Airflyte and am looking forward to the memories my husband and I will share with our grandkids. It’s perfect! I bought unit 133, 3 days ago . We did a walk through at dealer and found the floor was peeling at a seam under table.the stainless was damaged and the dealer had to replace the stove top. The table cushion had a a stain in the vinyl so they got a cushion out of another unit. So with this all settled we headed home.The next day I was removing a sticker from bathroom window and almost pulled glass out of window. The glass was not attached to the window hinge . Upon further inspection the emergency window was also separating from hinge. Not a happy camper !!!!!! I bought the 16 foot reissue back in November. After a rain I noticed the emergency window was not sealed properly and leaked. I needed to wait till spring but under warranty I got a new rear window and it was installed a week ago. Well, guess what, it has the same problem – not fully attached to the top hinge or molding or whatever the top metal strip is. Guess what also, in a heavy rain this evening it leaks again – now worse that it did originally. Not a happy camper!!!!! Clearly there is a problem with the rear emergency window that merits a recall!